Our commercial portfolio includes some of the largest photo-voltaic plants designed and constructed in Florida and the Caribbean. Furthermore, SEM Power provides an industry leading service and support team for the ongoing operations and maintenance of existing solar plants. Finally, as one of the leading residential EPC providers in Florida, we have earned our reputation for the highest quality. SEM Power's team believes that America’s energy future is based on inexhaustible, clean, safe, affordable, and reliable energy. We'd love to hear from you. Give us a call today! Solar Max provides our customers with simple and affordable solar energy solutions. We believe the process should be headache and question free which is why we handle every step of the project, from consultation to utility inter-connection, for little or no upfront cost. When choosing Solar Max, you are choosing a family-owned and operated company that has positioned itself at the forefront of the revolutionizing solar energy industry. 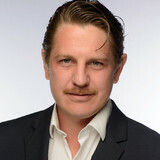 We employ a full team of in-house experts with the highest level of knowledge, training and licensing. By doing so, we are able to ensure every customer receives a positive and enjoyable experience from first contact, to design and installation along with follow-up once in service. We are Florida's solar leader with over 30,000 installations since 1984! Our emphasis is focused around providing a quality experience to each individual customer that we service. We perform installations of all sizes, general service/system maintenance and everything in between. We specialize in Solar Pool Heating, Solar Electricity, Solar Hot Water, Solar Attic Fans & more! "A" Rated on Angie's List, BBB and others. Go solar with confidence, go with the solar experts! Please visit our Facebook for the most up-to-date job photos! 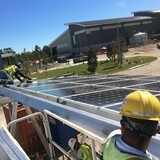 EHS Efficient Services is a solar contractor serving the Saint Petersburg, FL area. Services include Solar Electric, Home Solar, Solar Panel Installation, Solar Panels, Solar Prices, Panel Cleaning and Maintenance. HVAC, and Insulation. Our Mission Is To Provide Your Home With A Custom Packaged Energy Management System Comprised Of Top Quality Products And Services. We Work To Save You Money By Making The Switch To An Energy Efficient Home. Efficient Home Services offers an array of services which are designed to help you Save Both Money and Mother Nature. Our Energy Evaluation will determine where and why your home wastes energy and our custom Home Energy Packages will focus on How To Stop It And Save You Money. Solar is no longer just about saving the environment. Solar is an intelligent financial decision that can save a family with a 3bd/2ba home $85k over 25 years. This is news because the cost of solar has dropped 60% since 2011. 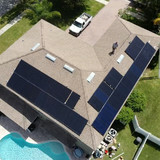 Visit our site www.solarsrq.com, or give us a call at 941 993-0586 to learn more. Thank you and have an absolutely fantastic day! Green high-tech technology in a traditional mason jar. That's the SONNENGLAS®. The principle of this solar light is as simple and fun as it is ingenious: The SONNENGLAS® stores energy during the day and releases light at night. Producing light in this way is fun, sustainable and makes it easy to do your bit for the environment. And the SONNENGLAS® will light up the dark for years to come. The SONNENGLAS® contains four solar-powered LEDs, which are charged by solar cells in its lid. When placed in direct sunlight the batteries are charged and provide many hours of soft, yet bright lighting without glare. The SONNENGLAS® is a fair-trade lantern made with 100% recycled material. Handmade with love in South Africa, but enjoyed by people all over the world. Ideal for garden lighting, decorating your table and other areas, barbecues, camping, alfresco dining and all other outdoor pursuits that would benefit from beautiful lighting to create a wonderful and relaxed atmosphere. Go Net Zero Energy and TKO your power bill. Premiere Builders Inc. is a solar contractor serving the Tampa, FL area. Services include Commercial Solar, Home Solar, Insulation, Panel Cleaning and Maintenance, Solar Electric, Solar Panel Installation, Solar Panels, Solar Prices and Solar Water Heating. 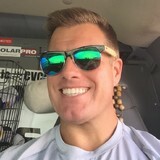 I am a professional Solar Energy Ambassador, offering my education and services to provide you information on solar energy systems, financial savings, and positive environmental impacts in the state of Florida. With freedom from your utility company, increased home value, up to a 30% tax credit, and monthly payments as lows as $100/month with no money out of pocket--it is easy to see why. Leave worry out of the equation by working with a true professional. I will guide you throughout the process and make sure you are making the best decision; even if that means not investing in solar energy. I’d love the opportunity to show you why my exceptional service sets me apart from the rest of the field. Along with off-grid solar, wind and hybrid energy systems that include batteries and backup generators, there are also grid-tied solar and wind operations. Grid-tied systems are attached to your Indian Shores, FL utility company so if you produce more energy than you use, your meter goes down and you build up energy credits. Find solar energy contractors in Indian Shores, FL on Houzz. Search the Professionals section for Indian Shores, FL solar energy contractors or browse Indian Shores, FL photos of completed installations and look for the solar energy contractor’s contact information.